Dr. Murali Murty is a board-certified Radiation Oncologist and joined Ironwood Cancer & Research Centers in November 2014. 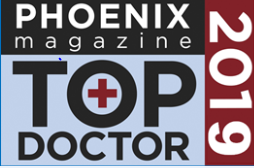 He has practiced general radiation oncology and stereotactic radiosurgery in Phoenix/Scottsdale, and Indianapolis. He has extensive experience and training in state-of-the-art treatment including IMRT, IGRT, 3D conformal radiation, brachytherapy, Cyberknife and Linac-based stereotactic radiosurgery, and Tomotherapy. Dr. Murty received his Bachelor of Science in Electrical Engineering from Rutgers University followed by a Masters in Public Administration with a focus on Healthcare Management and Finance from New York University. He then earned his Doctor of Medicine degree from Rutgers New Jersey Medical School. He completed his internship in internal medicine and residency in radiation oncology at Drexel University College of Medicine in Philadelphia where he served as Chief Resident. He has done research and published on the radiotherapeutic treatment of squamous cell carcinomas of the head and neck of unknown origin and total mesorectal excision of rectal cancers. His publications also include a book chapter on the radiation of vascular tumors of the ocular fundus. Dr. Murty sees patients for Radiation Oncology at our Glendale and Avondale locations.